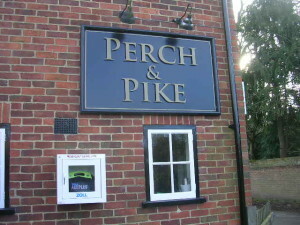 South Stoke is very proud of its only public house, The Perch and Pike. The Perch & Pike is a beautiful old English, country pub with a 17th century flintstone inn and converted barn - with a cosy traditional bar complete with log fires, offering a range of real ales, craft lagers and some delicious new wines. The restaurant boast the finest seasonal produce, locally and ethically sourced to create the perfect dining experience. Eat in the relaxed atmosphere of the bar, in the stylish barn restaurant or al fresco on the terrace or in the garden. There are also four beautifully-styled en-suite bedrooms, complete with all the little luxuries - for a well earned break or romantic getaway. Found out more at the Perch & Pike's website.